While more and more Android device manufacturers seem to be taking facial recognition seriously in an attempt to catch up to Apple’s Face ID technology, the Cupertino-based tech giant might be exploring various ways of going back to the basics of biometric authentication solutions on mobile devices. Yet another patent published recently in the US and originally discovered by AppleInsider suggests Apple is considering a Touch ID revival... of sorts, possibly in order to double the convenience and security of the Face ID scanning method exclusively used on recent iPhones. Obviously, if the Touch ID feature were to make a comeback on 2019 iPhones or beyond, Apple needs to modernize the fingerprint reading technology somehow in order to keep up with recent trends and increasingly complex biometric recognition systems on high-end Android devices. Enter something called “acoustic pulse coding for imaging of input surfaces”, which essentially means Apple is (maybe) working on a way to convert audio signals into coded images of a user’s fingerprint. In other words, your fingerprint would enter into contact with these acoustic transducers, leaving an audio imprint that could then be compared to a “database of known images or data” to determine if the biometric information matches that of a phone’s rightful owner. Apple envisions multiple use cases for this potentially groundbreaking technology, including unlocking financial information or “trade secret information” by fingerprint or even mapping the “biometrically-unique features of a user’s ear” with the help of an acoustic imaging system of this type. If the whole thing sounds too complicated to wrap your head around, you might be excited to hear a specific acoustic imaging mechanism implementation would also theoretically allow Apple to equip the full display area of future iPhone generations with blazing fast fingerprint recognition functionality. Basically, this could be another step towards that completely bezel-less iPhone of our dreams, capable of both under-display facial and fingerprint scanning... or it could be a wild concept that never gets to see daylight on a commercial product. Sadly, you can never know which direction patents like this are headed into. Ultrasonic Finger Print Reader... nothing new. But it’s good that Apple is working on it. Nothing new? Well the one that seems to be out their and is fairly new is Qualcomm's ultrasonic sensor. The other that uses radar is Google's project Soli. But since this article mentions acoustics. Then Apple better sort things out with Qualcomm fast, especially if this tech wants to be in the next iPhone. The other thing that got me is when Adrian said more and more OEMs are taking facial recognition seriously. The thing is the other OEMs are not as dumb as Apple to abandon finger print scanners, and have made them better than Apple ever did. OEMs other than Apple give you more than one option to login to your device. Apple is the one that forces you to use what they want you to use. Shhh, dont tell them that Samsung is gonna introduce it in their S10, or that other OEM'es have shown a proof of concept. The iherd doesn't wanna know! Brings back memories of Apple's Retina stuff, or their new Super Retina. All meaningless wording for stuff that has been created by other companies, and used on other smartphones, before Apple's iPhones. Looks to me like a fancy wording for the ultrasonic fingerprint scanner already used by Qualcomm. Indeed, also Xiaomi already showed a prototype phone which can unlock no matter where you put your finger on the screen. Yup. I opened this article hoping I would be blown away by what they propose to do. After reading the article, not so much. Still, nice that they are bringing touch ID back. So Apple is working on a fingerprint sensor? I hope other phones in the near future start using fingerprint sensors. Would be nice to easily unlock my phone by putting my finger on the scanner, and it just unlocks. I don't care what they do or how they do it as long as they bring TouchID back. Removing it with the FPS and the headphone jack was a stupid decision on Apple's part. Groundbreaking... way of renaming the ultrasonic fingerprint reader. LOL, Android device manufacturers seem to be taking facial recognition seriously in an attempt to catch up to Apple’s Face ID technology. NO majority of Android manufacturers prefer inscreen finger print readers. The real story is Apple seem to be Finally taking in screen finger print sensor seriously in an attempt to catch up to Android. Hahaha I see what you did there.. Typical iphone Arena, Apple must be paying iPhone Arena real good to give us those "cheap facial ID" talking points. Apple, unlike Android, forces facial ID on it's consumers. That way the government can collect our faces. iPhone Arena are puppets for the Illuminati. Their genda cannot be more transparent! 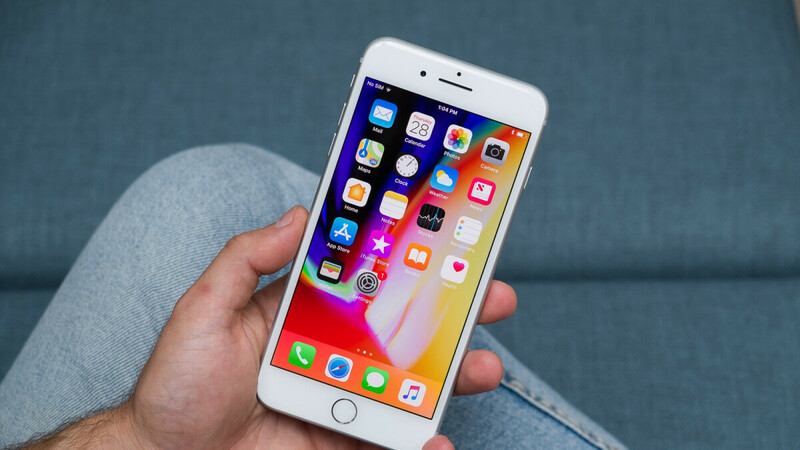 I believe Apple is trying to find a way to make the sensor read the fingerprint wherever the finger is: in contact with the phone or at a distance. That would be different and really groundbreaking; otherwise Face ID is a little better than every current solution. Xiaomi already demonstrated a smartphone prototype w/ under display fingerprint scanner that can unlock the locked screen with pressing pretty much everywhere. "I believe Apple is trying to find a way....." It'd be weird if you didn't 'iBelieve' the iBS you wrote above. It's not Xiaomi, it's Vivo you are talking about.https://www.youtube.com/watch?v=6jXk3zAfZKY Anyway Apple is quite late. Most Android OEMs in the upcoming months will launch flagships with under display fingerprint sensors. 2019 is the year of the ultrasonic under display sensors. So they are mimicking the cheap Chinese OEMs that their users love to bash?